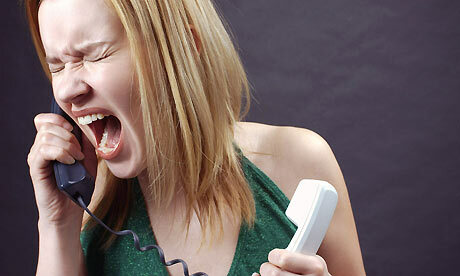 BT Complaints Who keeps ringing me? Another BT customer complaining about unwanted annoying sales calls. We are getting increasing numbers of complaints saying “Who the hell keeps ringing me!” In this particular complaint, the telephone number is 02031671196. I’ve had at least 14 calls over the last 2 weeks, once a day around midday every weekdays plus once in the evening. It must be obvious to whoever is calling I don’t want them to call and I’m worried as to their intensions with all you hear about the fraudulant use of numbers. I rang the nuisance call department on 13/1/2012 to ask for help and was asked to keep a log of the phone calls. this I did and rang back today (1/2/2012 ). 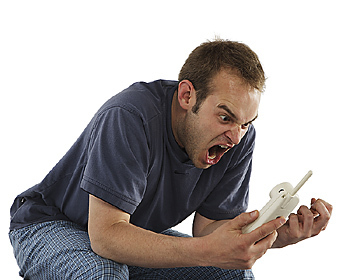 I was told nothing could be done unless I paid for an extra service to stop unwanted calls. I was under the impression I already had this service at no cost. I am an elderly person and cannot afford to pay any more money out. These calls are really worrying me as to their unknown intensions and if there is no way you can stop them I will have to find another company who provide a more secure and thoughtful service. sue them under misrepresentation "tort" as its not what you expected the service to be! dont bt already do that? yep had several calls from this tele marketing number recently. Annoying indeed! We just had a call on our landline from someone saying they were from B.T. I doubt this was true. Perhaps could check it his for us. We noticed they sounded very much like a large number of ` fishing’ calls we have recently received, mostly asking us about insurance claims/car accidents etc, but this time they asked us to sit down in front of our computer and follow their instructions. I laughed and said No Thanks, and put the phone down. We are getting a number these sorts of calls and getting seriously disturbed and concerned about this interminable disturbance . We usually have at least five a week, and they are very persistent. Isn’t there anything we or more importantly you can do about it ? I am having at least 2 or more calls a day from this number 02381014445 and each time I answer there is no one on the other end. Rather than me call this number and completely loose my mind in the barrage of abuse I would like to subject them too, I am asking for your assistance to stop this. Answered a call at home today (no number displayed) and a strongly accented man (called Harry) said he was calling from ‘The Service Department’ I asked what company and he said BT Openreach. He then went on to explain people were hacking into my IP address and my internet and ‘doing a watch’ of everything I am doing. He also said BT Openreach were my Service Provider (?) and did have some personal details relating to me, my house and husband. I asked where he was based and he replied ‘Newgat, London, WWTA 11’ .. at this I laughed and said I’m from London and I know that’s not even a real postcode and it’s ‘Newgate’ not ‘Newgat’ and if he was in that building he’d know how to say it! I demanded a number to call him and his manager (Shane Dawson) back on, eventually got an inner London number and predictably, it doesn’t work. Told these guys before I put the phone down to get a proper job and stop trying to scam hard working people out of their money and that in the UK we do not all sit at our brand new computers all day internet shopping and checking our bank accounts!